The Liberty 20 in. Self-Closing Drawer Slides (2-Pack) enable you to put together a functioning kitchen cabinet drawer that holds up to 100 lb. The pack contains 2 slides and the needed hardware. The slides are designed for easy installation. Eurostyle's drawer are made of double wall metal to hide the self cleaning ball bearing slides, it's open completely and close smootly with the soft closing function included. Change the look of your cabinets with this contemporary Richelieu recessed handle that fits directly into sliding cabinet doors. 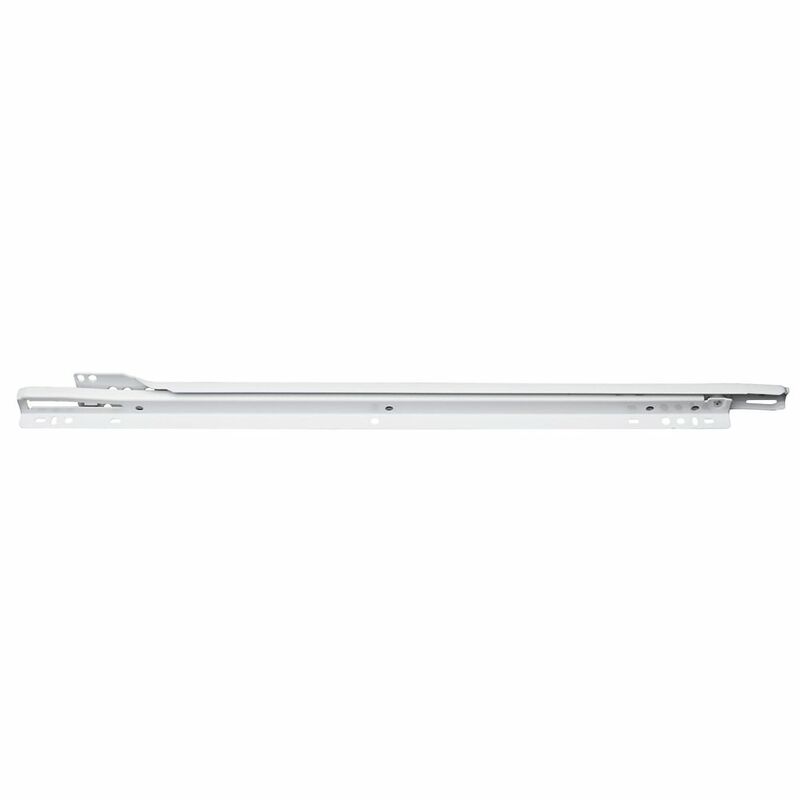 20 inch Bottom Mount Drawer Slide The Liberty 20 in. Self-Closing Drawer Slides (2-Pack) enable you to put together a functioning kitchen cabinet drawer that holds up to 100 lb. The pack contains 2 slides and the needed hardware. The slides are designed for easy installation. 20 inch Bottom Mount Drawer Slide is rated 3.9 out of 5 by 11. Rated 4 out of 5 by None from Items were returned because the style would not work on... Items were returned because the style would not work on my cabinet drawers. Rated 4 out of 5 by Jim from The mounts were easily installed and instructions was good.... The mounts were easily installed and instructions was good. Rated 4 out of 5 by billself from These drawer slides are as good as it gets for... These drawer slides are as good as it gets for this type of drawer guidance system. One is limited on weight and one needs to address covering the gaps the required installation system leaves on both sides, top and bottom, but that's easily done. They're good slides. They are dependable and they last. Rated 4 out of 5 by TheHockeyCardGuy from Great product I bought this product to hold heavy content in each drawer and it does the job has expected. Installation was really easy. I would recommend this project for all you drawer project. Rated 4 out of 5 by HandymanC from Good product The only thing that can be improved upon is better guidance for selecting the proper length. I was unsure what the actual size would be for my situation. I probably could have used the next size, but made these work.